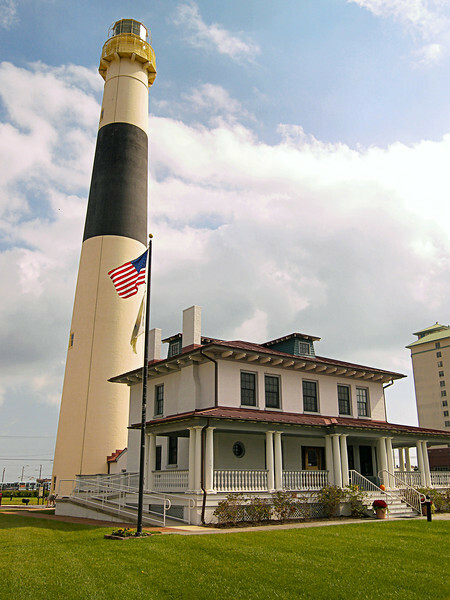 The story of the Absecon Lighthouse in Atlantic City, NJ is one with many twists and turns. First, there was difficulty in getting the lighthouse built by the federal government. After the light had outlived its usefulness it was almost lost to the wrecker’s ball. But the light is also a story of perseverance by dedicated people who worked hard to save this icon of Atlantic City and its history for future generations. Dr. Jonathan Pitney arrived on Absecon Island in 1820 to establish his practice and soon became convinced of the healthful aspects of the area. He became determined to develop the area and was involved in several plans to attract settlers. He would later become memorialized as the 'Father of Atlantic City'. In 1830 he petitioned the federal government to build a lighthouse at Absecon Inlet. A decade later a Naval officer was sent to survey the area and he prepared a report stating there was no need for a lighthouse at that location. Dr. Pitney however was not deterred, and continued to agitate for a light.